Forum Covering all Aspects of Sea Fishing. Posted in Fishing Tackle For Sale - Buy - Wanted and Exchange. by mrix » Thu Jun 08, 2017 8:31 am » in Fishing Tackle For Sale - Buy - Wanted and Exchange. by rabbi2 » Thu Aug 25, 2016 2:29 pm » in Fishing Tackle For Sale - Buy - Wanted and Exchange. 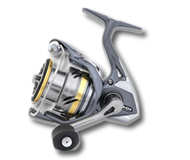 by michelin » Sun Nov 23, 2014 11:49 pm » in Fishing Tackle For Sale - Buy - Wanted and Exchange. by michelin » Sun Nov 23, 2014 11:47 pm » in Fishing Tackle For Sale - Buy - Wanted and Exchange. ↳ Fishing Tackle For Sale - Buy - Wanted and Exchange.